BPA, also known as Bisphenol A, is an industrial chemical which can be found in a number of consumer products and food containers. From 2008, its safety has been questioned and it has become a controversial chemical as concerns were raised about its presence in consumer goods. Today, here at Eco Hip we advise you on the dangers of BPA and the solutions to staying healthy with eco products from EcoHip.co.uk. BPA is often found in plastics and epoxy resins and is used to make containers that store food and drinks. Water bottles, baby bottles and cans are amongst the receptacles where Bisphenol A is often found. It is often used to cost the inside of containers however, some research has shown that BPA can become soluble and lead to negative health effects. The National Toxicology Program at the Department of Health and Human Services has commented on its use saying that there is some cause for concern. The possible health risks which accompany BPA are a worry. Bisphenol A has been linked to cardiovascular disease, diabetes and liver enzyme abnormalities in humans. Many companies now produce a bisphenol free product to help limit exposure to the chemical however there is much you can do to avoid exposure yourself. Plastic bottles and containers marked with the number 7 should be avoided. Microwaving foods in plastic containers can also increase exposure. The National Toxivology Program advises against microwaving plastics which can break over time and seep BPA into foods. The same must be said for washing plastics in dishwashers with harsh chemicals. Eco Hip offers eco products which can act as alternatives to bottled waters. The revolutionary Bobble bottle is not only healthier for you but also for the environment. 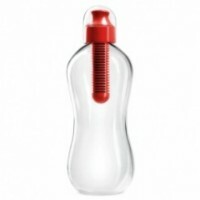 It is said that for every Bobble bought, 300 bottles of water will be saved from being discarded. The Bobble filters tap water as you drink for clean, serviceable water you can drink on the go. Available for as little as £10.99, visit the site for more information on the Bobble bottle. Keep up-to-date with all the latest eco friendly advice from Eco Hip via our blog, Facebook and Twitter accounts. Very helpful and best artical information Thanks For sharing. ,A very good informative article. I’ve bookmarked your website and will be checking back in future! A fascinating discussion is definitely worth comment. I do think that you ought to publish more on this topic, it may not be a taboo sanvcdez,subject but generally folks don’t talk about such subjects. To the next! All the best!! Helⅼo There. I found your blog using msn. This is a very well written article. Your blog was informative and valuable to me. Thanks for sharing. A very good informative article. I’ve bookmarked your website and will be checking back in future! Next Next post: How Does the Bobble Bottle Work?